Although I’d like to eat these or these every day, my body doesn’t seem to think that is acceptable enough for fitting into my clothes! As a result, I am constantly thinking of dessert ideas that are a little more healthy. Don’t get me wrong, when you need a brownie, you NEED a brownie, but there are some occasions when I can go with something on the lighter side. 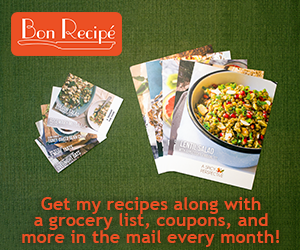 About a month ago, I contacted Chobani about using their products in recipes on the blog. Lucky for me, the woman I wrote to was more than happy to help out. Just a few days later I received several coupons for FREE Chobanis in the mail! Now lucky for you, I am going to give some away. All you have to do is leave a comment on this post between now and Monday night at midnight eastern. I’ll pick a random number to choose a winner for 6 free yogurts. 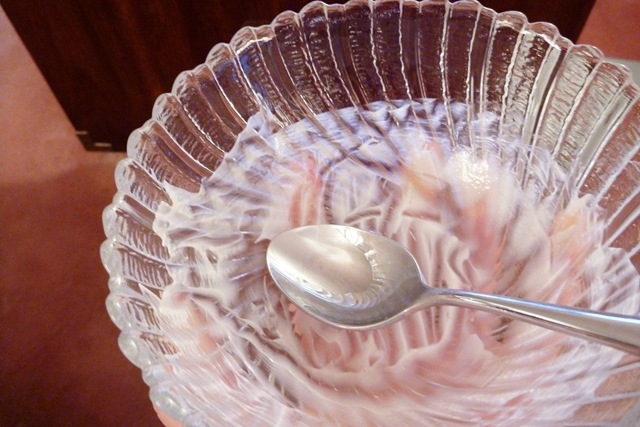 Tonight was the perfect opportunity to experiment with the yogurt. I had a relaxing night planned for myself and wanted something easy, tasty and light (we are going to a wedding tomorrow night and there is a little black dress waiting for me in the closet). After considering the ingredients I had on hand, I decided to make Low Fat Peanut Butter Mousse. I love my mini chopper. Regularly I try to limit artificial sweeteners in my diet, but I have nothing against using them in small doses. 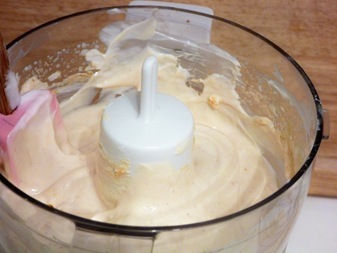 Let your cream cheese sit out for a bit to soften, and put that in the food processor first. You can read why, here. Then blend in your Chobani. And then the powdered stuff. 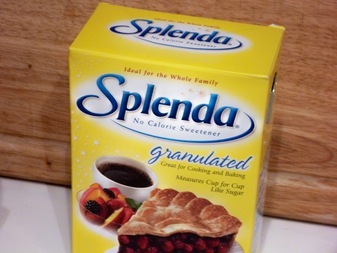 The Splenda too. 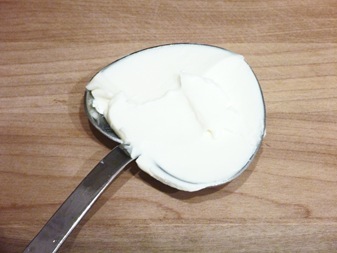 Whirl it all together to get it nice and creamy. You should pause to scrape the sides once or twice. Then serve, you don’t even have to share! Run cream cheese through food processor until creamy. Add yogurt and blend well. 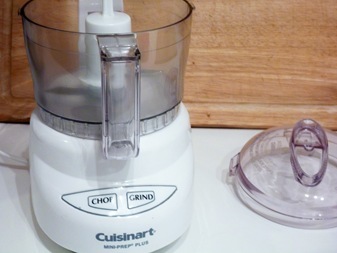 Blend in PB2 and Splenda, scraping the sides of the chopper once or twice. Eat alone or with your choice of topping. *Trader Joes peanut flour is similar and can be used instead. Alternatively, a tablespoon of regular natural peanut butter would work as well. Nutrition information would vary. If you don’t have a mini chopper, you could use a hand mixer or a small blender instead. I know this isn’t really “mousse”, but the texture is so creamy that is the best way to describe it. 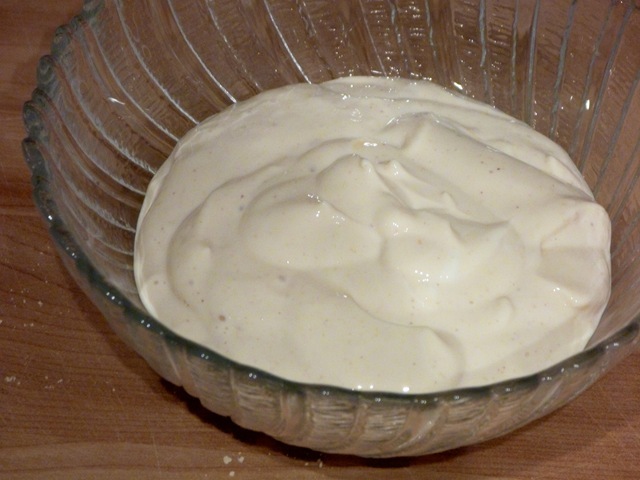 This would be great served over sliced bananas or as a dip for sliced apples. Suggested toppings include dark chocolate shavings, cookie crumbs or chopped peanuts. Thank you for the healthy recipe. I love strawberry-banana Cho, it’s my favorite! I try to eat it twice a day as a healthy snack…not just that flavor, but the Cho in general!! The BEST Greek Yogurt on the market! 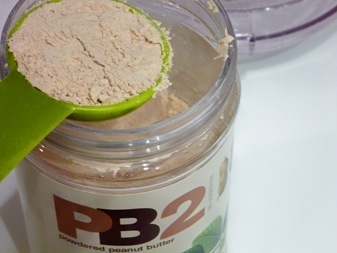 I have never heard of powdered peanut butter, this is a must make on my list! I love Chobani (my favorite flavor is pineapple) and this mousse sounds awesome. I also have an intense sweet tooth and also trying to find recipes that are moderately healthier. This is perfect! 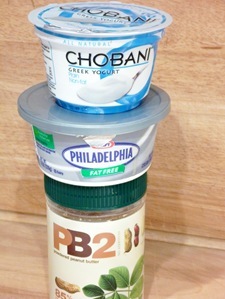 I love all the Chobani flavors, but Chobani Vanilla with a little peanut butter mixed in is my favorite! I can’t wait to try the Peanut Butter Mousse recipe! Thanks for sharing it!! Mmmm chobani is the smoothest. This post reminded me that I wanted to look into a recipe for a cheesecake type thing with chobani!!!! Oh yum!! Gonna have to try this one for sure! Thanks for sharing!! I already use and love PB2 and this is a super creative additional use for it. 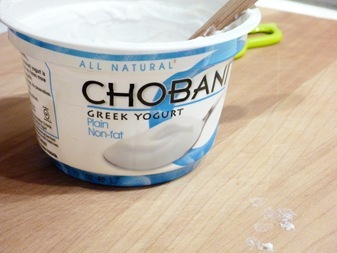 I eat Chobani yogurt often. I have added pureed strawberries to the plain flavor, and baked cupcakes with it. I thinkI may try apple and cinnamon in it. Thanks for sharing. oh those cupcakes sound great- i’ll have to try something like that!